We have arrived in Lisboa! As excited as I was to join the GlobeKick program, after meeting the people who lead the team, those taking this journey alongside me and the orientation into why we're all here and what we hope to gain - I know without a doubt that I am exactly where I meant to be. The values and goals of GlobeKick perfectly align with where I am in my life right now - having open eyes, open heart, and open mind as we approach this experience with enthusiasm and curiosity. We're all getting out of our comfort zones in order to see the world from a new perspective and to learn more about ourselves. We're being challenged to spend time focusing inward - through yoga, meditation, and heartwork (questions and themes to personally ponder each week). Being with a group of 20 other people who are all focusing on bettering themselves and the world around them has already led to some great conversations and newly-formed friendships. It definitely takes a certain kind of person to pack up and move across the world and I feel honored to be among them, to learn from them, and to surround myself with creativity and positivity. 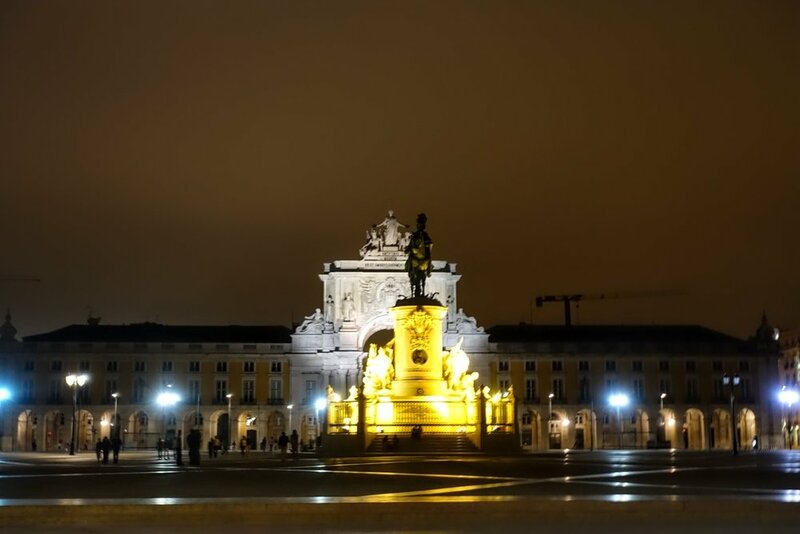 Lisbon is the oldest city in western Europe - even predating Rome! It fully engulfs you - the arches, the castles, the cobblestone streets, I step out of my doorway and I'm transported back in time. It's breathtaking! It reminds us a bit of San Francisco being on the water, lots of hills and steps and even has a very similar bridge. 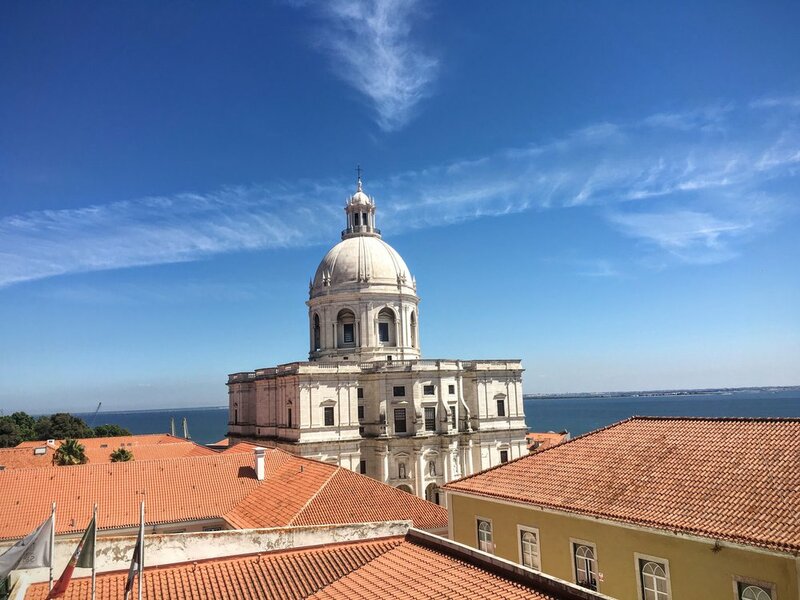 We all live in different apartments throughout the city that we share with 1 or 2 other people, I have an adorable apartment that I am in love with in the Alfama district - the oldest district in Lisbon. 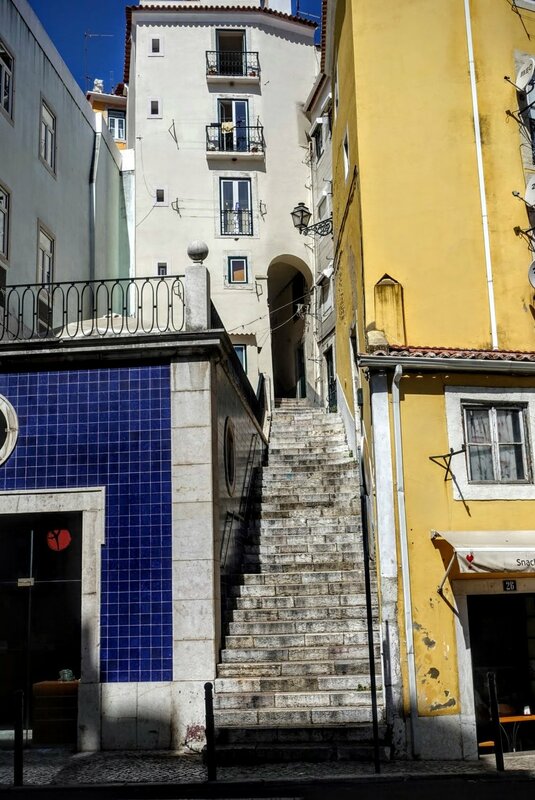 There are 2 other apartments in the area and the 6 of us have formed a little Alfama family - figuring out how to navigate to and from and the best restaurants in town. We have a coworking space within the LX Factory called CoWork Lisboa. We have a dedicated room where we have 24/7 wi-fi, printer access, espresso and more. I'm excited to learn more about what everyone does - so far we have everything from working with BitCoins, grad school students, healthcare workings, many entrepreneurs running their own various businesses, freelance photographers, video editors, and bloggers. The CoWork space is in an artsy, reconstructed warehouse part of town - it reminds me a bit of Durham! There are shops and restaurants close by and we intend to try every one. There's so much to learn, about this city and about myself. This is just the beginning of something truly great. What is your intention for the next 3 months? What does transformation look like for you? What are you wanting to grow in yourself? What are you willing to commit to and/or let go of in order to get there? Love & Light to all and I look forward to sharing this journey with you!